Beautiful townhouse in a great Tempe location of Papago Square. The urban designs blend with the architecture and landscaping to provide an attractive community to dwell in. This Townhome has tile throughout, NO carpet, 3 bedrooms, 1.75 bathrooms, inside laundry, formal dining area, GRANITE counters in kitchen & bathrooms, newer dishwasher, fireplace, a fabulous outdoor area, 2 car garage! All appliances (fridge,washer,dryer) INCLUDED! Water/Sewer/Trash included in rent! Close to the community pool. Recently painted exterior and interior. Corner lot with only one neighbor connected. 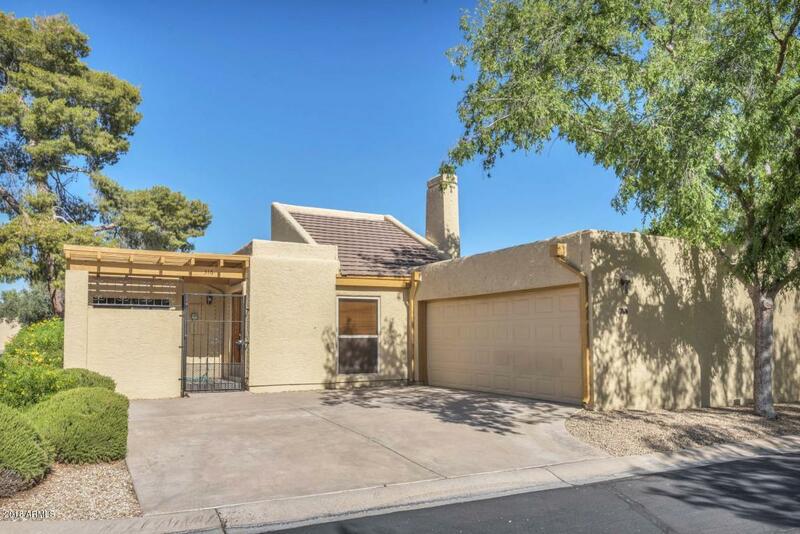 Close to Papago Park, Old Town Scottsdale, ASU, Skysong, Tempe Town Lakes, 202 & 101! Owners would consider one small dog.